Yoshino, M. Abhinav, K. Yeh, F.-C., Panesar, S., Fernandes, D., Pathak, S., Gardner, P. A., & Fernandez-Miranda, J. C. (2016). Visualization of cranial nerves using high-definition fiber tractography. Neurosurgery. Alhourani, A., Wozny, T. A., Krishnaswamy, D., Pathak, S. Walls, S. A., Ghuman, A. S., Krieger, D. N., Okonkwo, D. O., Richardson, R. M., & Niranjan, A. (2016). Magnetoecephalography-based identification of functional connectivity network disruption following mild traumatic brain injury. Journal of Neurophysiology, 116(4), 1840-1847. Guise, C., Fernandes, M. M., Nóbrega, J. M., Pathak, S., Schneider, W., & Fangueiro, R. (2016). Hollow polypropylene yarns as a biomimetic brain phantom for the validation of high-definition fiber tractography imaging. ACS Applied Materials and Interfaces, 8(44), 29960-29967. Presson, N., Krishnaswamy, D., Wagener, L., Bird, W., Jarbo, K., Pathak, S., Puccio, A. M., Borasso, A., Benso, S., Okonkwo, D. O., & Schneider, W. (2015). Quantifying white matter structural integrity with high-definition fiber tracking in traumatic brain injury. Military Medicine, 180(3S), 122-134. Wang, X. Pathak, S. Stefaneau, L., Yeh, F.-C., Li, S. & Fernandez-Miranda, J. C. (2015). Subcomponents and connectivity of the superior longitudinal fasciculus in the human brain. Brain Structure and Function, 1-18. Faraji, A. H., Abhinav, K., Jarbo, K., Yeh, F.-C., Shin, S. S., Pathak, S., Hirsch, B. E., Schneider, W., Fernandez-Miranda, J. C., & Friedlander, R. M. (2015). Longitudinal evaluation of corticospinal tract in patients with resected brainstem cavernous malformations using high-definition fiber tractography and diffusion connectometry analysis: preliminary experience. Journal of Neurosurgery, 123(5), 1133-1144. Abhinav, K., Yeh, F.-C. Pathak, S. Friedlander, R. M., & Fernandez-Miranda, J. C. (2014). Advanced diffusion of MRI fiber tracking in neurosurgical and neurodegenerative disorders and neuroanatomical studies: A review. Biochimica et Biophysica Acta (BBA)-Molecular Basis of Disease. Fernandez-Miranda, J. C., Wang, Y., Pathak, S. Stefaneau, L., Verstynen, T., & Yeh, F.-C. (2014). Asymmetry, connectivity, and segmentation of the arcuate fascicle in the human brain. Brain Structure and Function, 1-16. Abhinav,K., Pathak, S. Richardson, R. M., Engh, J., Gardner, P., Yeh, F.-C., Friedlander, R. M., & Fernandez-Miranda, J. C. (2014). Application of high-definition fiber tractography in the management of supratentorial cavernous malfunctions: A combined qualitative and quantitative approach. Neurosurgery, 74(6), 668-681. Bowden, G. Niranjan, A., Laing, E. Pathak, S. Flickinger, J. & Lunsford, L. D. (2014). Integration of magnetoenecephalography-generated functional brain maps into dose planning during arteriovenous malformation radiosurgery. Stereotactic and Functional Neurosurgery, 92(2), 103-108. Phillips, J., Greenberg, A. S., Pyles, J. A., Pathak, S. K., Berhrmann, M., Schneider, W., & Tarr, M. J., et al. (2012). Co-analysis of brain structure and function using fMRI and diffusion-weighted imaging. Journal of Visualized Experiments, 69, 4125. Fernandez-Miranda, J. C., Pathak, S., Engh, J. A., Jarbo, K., Verstynen, T., Yeh, F.-C., Wang, W., Mintz, A., Boada, F., & Schneider, W., et al. (2012). High-definition fiber tractography of the human brain: Neuroanatomical validation and neurosurgical applications. Neurosurgery, 71(2), 430-453. Shin, S. S., Verstynen, T., Pathak, S., Jarbo, K., Hricik, A., Maserati, M., Beers, S. R., Puccio, A. M., Boada, F. E., Okonkwo, D. O., & Schneider, W., et al. (2012). High-definition fiber tracking for assessment of neurologic deficit in a case of traumatic brain injury: Finding, visualizing, and interpreting small sites of damage: Case report. Neurosurgery, 116(5), 1062-1069. Walt Schneider, Executive Committee Member, Center for the Neural Basis of Cognition, and LRDC Senior Scientist, and his Research Associate, Sudhir Pathak, were featured in a Discover magazine article on High Definition Fiber Tracking (HDFT), "Broken Cables: High-Definition Imaging Helps Researchers Map the Damage from Traumatic Brian Injury with Unprecedented Accuracy," on September 11. 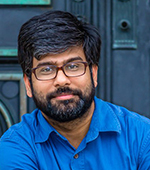 Sudhir Pathak, Research Associate, Schneider Lab, was appointed as an Editorial Board Member for Claustrum. Walt Schneider, Executive Committee Member, Center for the Neural Basis of Cognition, and LRDC Senior Scientist, and his Research Associate, Sudhir Pathak, were featured on the Discovery Channel program Life Changing Medicine, in "Exploring High Definition Fiber Tracking" Physician Education, Neurology-Neurosurgery." Walt Schneider and Research Associate Sudhir Pathak were highlighted in the Scientific American article "The Mystery of the Missed Connection: A Common but Little Understood Malformation Reveals the Brain's Incredible Plasticity," accompanied by HDFT images of the corpus callosum. Walt Schneider and Research Associate Sudhir Pathak were featured in Gehirn and Geist magazine for their work on corpus callosum rendering.